Maintaining your oral health is crucial. It limits the existence of plaque, bacteria, and various food debris that can collect along the gum line and on teeth. Adopting a dental routine that includes brushing your teeth twice daily, flossing, using mouthwash, and seeing your dentist frequently are all good habits to work on. Without a solid routine and check-ups, you risk developing periodontal disease also called periodontitis or gum disease. Gum disease is an irreversible oral ailment that can diminish your overall health. If you have it, you can receive treatment to lessen the effects of the disease. If you are concerned about potentially getting periodontal disease, you can practice good oral hygiene techniques to prevent its occurrence. Here’s what you need to know about developing gum disease. 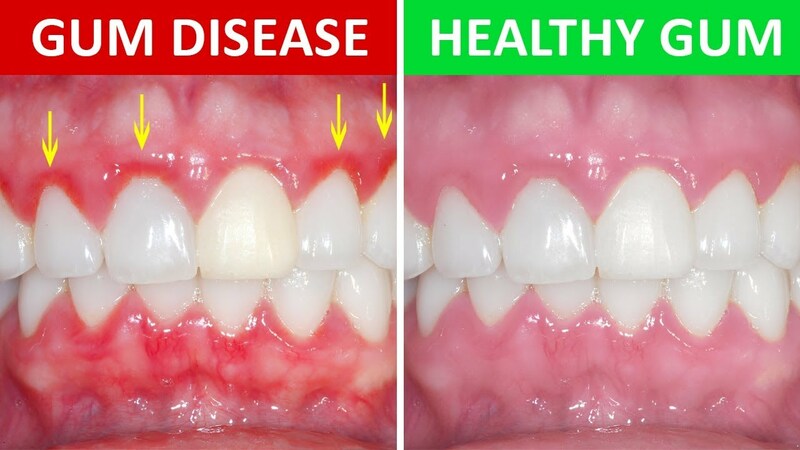 How Can Gum Disease Develop? Despite being such a pervasive dental crisis, gum disease can be avoided. Practicing good oral hygiene can reverse the initial onset of the disease. That is because gum disease starts with plaque build-up. Plaque is a sticky coating that forms as sugars and starches from food debris merge with bacteria found in the mouth. Plaque collects on teeth, but with adequate brushing, it can be removed. You must be brushing and flossing daily to keep plaque at bay. If left alone, it can harden and create a solid substance known as tartar, which must be removed professionally. Tartar can lead to gingivitis, the inflammation of the gums. Persistent swelling and irritation of the gums can lead to gum disease. You may begin to experience infections as openings under the gum line allow bacteria to penetrate gums and teeth. Eventually, the bacteria begin to attack bones, tissue, and teeth potentially resulting in tooth loss. Other factors such as smoking, obesity, poor eating habits, genetics, and diseases affecting the immune system can cause gum disease. The many signs of periodontal disease should not be ignored. Tender gums, red or bleeding gums, and receding gums are all indicators. Others include loose or shifting teeth, pus between the teeth and gums, bad breath, and pain while chewing. Should any of these symptoms be apparent, individuals are encouraged to seek immediate attention from a dental professional. Ignoring periodontal disease can lead to the infection entering your bloodstream and increasing your risk of heart disease and strokes. Other parts of the body can also become affected such as your lungs. Dentists never want to discover gum disease in the mouth of a patient. It is difficult news to deliver because the case is preventable, but once present, it is irreversible. With the implementation of good oral care, both at home and with the involvement of a dental professional, gum disease can be avoided entirely or managed if already present. Preventative measures for periodontal disease involve daily cleaning such as brushing teeth, flossing, and using mouthwash to eliminate the presence of bacteria. Additionally, oral examinations, and deep dental cleanings to remove stains, plaque, and tartar buildup are implemented to prevent gum disease. As far as managing it, the same practices are applied. However, more frequent and intensive deep cleanings are required to treat it. For more information on our dental services or periodontal disease, contact Thomas L. Anderson, DDS and Associates.